Whitney is the proud co-founder of Liven Up Health and Fitness, a premier personal training facility in Bethlehem, PA. At 22 years old, one year after graduating from college, the 7,000-square-foot club opened. Her business is known for its ability to change people’s lives and the multiple ongoing efforts to raise funds and awareness for local charities in the Lehigh Valley. Whitney’s diverse background includes “hands-on” start-up experience with three small businesses she has founded. In addition to Liven Up, Whitney’s entrepreneurial pursuits include a non-profit that provides funds for gym memberships for those experiencing challenging situations. She most recently expanded her business portfolio by co-founding a marketing and advertising agency geared towards the fitness industry. In addition to her multiple business ventures, Whitney is one of three Certified Master Coaches for Alloy Personal Training Solutions. She travels all over the country helping gym owners and their teams implement successful business systems and programming within their companies. Whitney holds a Bachelors Degree in Exercise Science as well as a minor in Dietetics from West Chester University. She holds numerous certifications including Certified Strength and Conditioning Specialist from the National Strength and Conditioning Association, Functional Movement Screen Specialist, and Level 1 Kettlebell Athletics Coach. Before opening Liven Up, Whitney developed and launched multiple fitness programs for small gym businesses. In 2016 Whitney was recognized as one of Lehigh Valley Businesses Forty under 40. Her fitness facility has won Best of the Valley by Lehigh Valley Style in 2015, 2016, and 2017. Liven Up was also a finalist as Emerging Business of the Year at the Lehigh Valley Business of the Year awards. She is a member of the Secret Trainer Society, a mastermind group of elite gym owners, where she serves on their board of directors. Whitney is committed to helping everyone become the best possible version of themselves and spreading her healthy living message near and far. She has a deep passion for raising the professional standards within in the fitness industry. 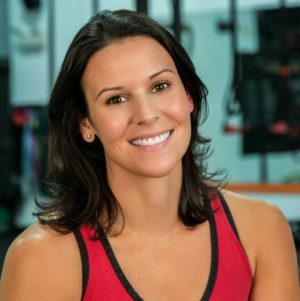 Through her business coaching, she helps gym owners develop systems and programming that allow their employees to create a career out of personal training while delivering the most effective training programs around. Her personal mission is to empower women to take on more leadership roles in the business world and hopes to inspire many young professionals to follow their dreams.